A versatile brush roll is good for keeping brushes dust free at home, and protected while you travel. 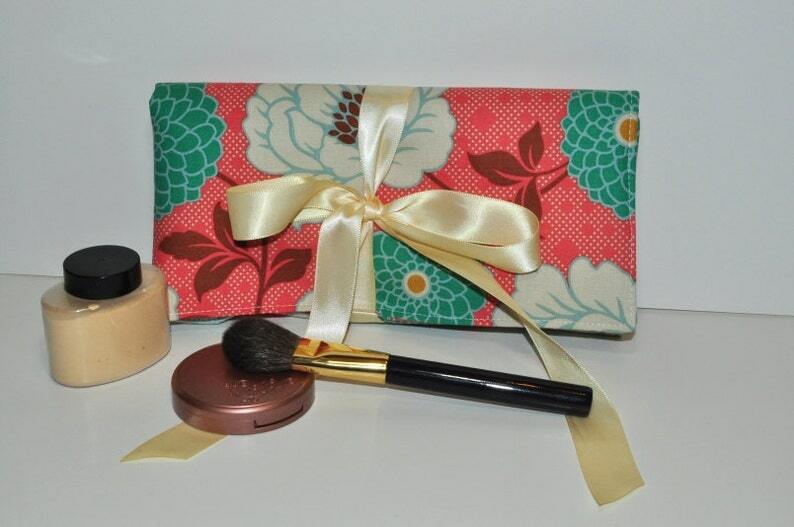 Keep all your favorite/most used brushes organized and easy to find - in a bold floral print in coral, teal, and ivory, paired with a light green lining and ivory satin ribbon ties. You want to store your makeup brushes in something cute and pretty, but something that's easy to clean - because who has time to clean their brushes right before you pack them up? Brush slots in varying widths allow you to mix and match the number of brushes to take on that girl's weekend with your friends, or long vacation. 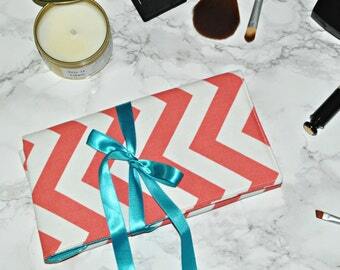 ♥ Purchasing as a gift? Gift receipt/no receipt will be used at your request (international orders will list full retail price on Customs Form), and a note to the recipient can be included at no extra charge. Simply leave your preference/message in the Notes to Seller area upon checkout. ♥ Please note that other items used in photos are to reflect scale/size; your purchase will only include the brush roll.